Another public figure, the fiery and brilliant civil rights lawyer, Femi Falana, also condemned the bill in his piece titled: Nigeria’s proposed sexual offences law obnoxious. It is safe to conclude that there seems to be some gaps in communication between what the bill really contain and what the public perceive it to contain. This is obvious from the recent rebuttal given by the remarkable, intelligent and insightful senator Chris Anyanwu. In a nutshell, she sheds more light on the contents of the said bill. It is our hope that the bill be made public in its entirety and perhaps a group of legal experts and sociologists elaborate more on what it does or does not contain. We owe this much to the underserved and under represented victims, who are adversely affected by issues of sexual abuse and misconduct. A bill that adds more protection and creates a safe environment for children and women must be encouraged. However, it must also be done right, so that it does not create more problems or loopholes for perpetrators of sexual abuse. 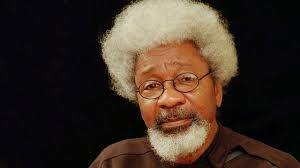 On behalf of the WWN, I would like to commend both parties (Professor Soyinka and Senator Chris Anyanwu), for speaking out on this and making it a matter of national discourse and engagement. It is also instructive to note the civility, logical and critical reasoning skills with which they put their different perspectives forward. A clear departure from the past, where are contrary points of views and replied with abusive and coarse language. This level of civil discourse must be encouraged at all levels of governance and polity. I would also like to point out that an important learning from these letters is the need to careful verify such sensitive and critical information so as to make informed judgements and pronouncements. In the end, let the outcome of these exchanges lead to more clarity about the bill and whatever is lost in translation clearly explained. I’d even go as far as having this bill translated to pidgin and as many languages as possible. Subsequently, it is my hope and in our collective interest that the overall well-being of women and youths (especially young girls), should take centre-stage. I have read your open letter published on PM News and re-published on Bella Naija, premiumtimesng.com and a number of online papers. No one who read that letter could miss the fury embedded in your words. I know where that fury comes from: moral fibre, good conscience, and love of people. I want to assure you that it was the very same sentiments that drove me to come up with The Sexual Offences Bill and the same sentiments that led Senators and members to pass it. As always, your aim was to speak as the voice of reason in our increasingly confused society. I know you meant well. I know you acted out of your deep compassion for Nigerians and fatherly love for the children. But as I read your open letter, my heart sank because this time, my dear Baba, my dear icon, you are wrong. You have been misled by the misinformation circulated by someone who could not read or comprehend a legal draft; someone who did not have the patience to read through a proposal, see what was recommended and what was finally accepted. You were misled by someone who deliberately distorted the content of one of the most profound bills ever passed by the Nigerian legislature, scandalized the proponent and the institution for reasons that you and I may not know. “A person who commits an offence of defilement shall upon conviction be sentenced to imprisonment for life”. You claimed that the bill re-defined “female adulthood as marital status”. Where in the bill proposed by me and where in the bill passed by Senate did you see adulthood linked to marital status? The extreme distortion of the spirit, intent and even content of this bill leads me to think that you may be talking about an all-together different piece of legislation. For emphasis, let me state that the bill makes no such linkages as you erroneously stated. I think it may be fear of Sen Yerima that is at play here. For your information, Senator Yerima and all other Senators who participated in the debate on the two occasions the bill came up on the floor supported it as a vehicle for instituting a stringent law barring all ranges of sexual offences in Nigeria. They did this because they also have children, wives, daughters, even mothers and cannot afford to leave them in the current state where abuses are rewarded with a slap on the wrist of the perpetrators because our laws are outdated, without strong in-built deterrence and the mechanisms for monitoring and control are absent. This is just another case of people demonizing what is clearly in the public good because of deep-seated negative pre-dispositions towards individuals in an institution. By your strong advocacy against the bill, you have unwittingly stamped your feet in favour of maintaining the status quo. Where we are now.. the status quo.. is a world in which a six year old child is raped to death and then set ablaze. Where we are now is a place where a father rapes his 3 year old boys repeatedly and the mother weeps at night and cannot speak out due to shame and fear of her life. Where we are now is a place where young Cynthia in her struggles for self employment ran into a gang who drugged her, raped and murdered her. Where we are now is a place where foreigners come for tourism and turn children to their objects of tourism. With all due respect Sir, I want to express my deep disappointment with your hastiness in flowing with the mob on this matter. I blame your press officers. I think they should have advised caution. You have known me since the 1990’s. There is no way you could have sent feelers and I would not jump into the next flight to answer you. In fact, a mere telephone call could have dispensed with the matter. If you had even asked someone to get you a copy of the Votes and Proceedings of Senate for that day which published the exact words in the legislation passed, you would have spared yourself the time and emotions spent over what is clear mischief circulated through the web. The people who started it all are hate-mongers. They merely took advantage of the negative public feelings they have built up against the legislature. You have no business with such people Sir. I am sure in the most inner recesses of your mind you know I cannot in any way be associated with any anti-people law. Nothing in my personal history, professional antecedents or even the hard work I did to push through pro-people legislations in Senate, could lead anyone to think of me as capable of working against children, the very people I fought for over the course of my 8 years in Senate. The Sexual Offences bill is only one of many I did. I also proposed the Occupational Safety and Health bill protecting workers in virtually all sectors of the economy from hazards at work. The only group excluded are those in the oil and gas sectors who have been extensively provided for in the PIB. There was no “accident” as you call it involved in this legislation. Neither was there an error in judgment. The bill has been fabricated to provide a strong deterrence against abuses. When implemented, It will mitigate the private sufferings of parents; reduce their fear of what happens in their absence to their children at school, in the play grounds, in the neighbourhoods, even in religious spaces. Nigeria today is not a safe place for children; not a safe place for girls; not a safe place for small boys; and it is not a safe place either for old women. This legislation is proposes condign punishments for abhorrent crimes such as we are seeing in our country today. It even covers crimes yet to arrive our shores. Under this bill, pedophiles will be put away for life not made rock stars as we do today. This bill will bring sanity to our society. It will make Nigeria a better place for all. I suspect that some of those fighting against the bill are fixating on the short title. Its long title shows what it is: a sexual offences prevention bill; a tough deterrence to crime. I want you to take time and read the final copy of the bill. You will be proud. You will realize that good things can come from Nigeria and Nigerians. It is not only legislations initiated by outsiders and handed to us locals to push for their passage that should be deemed as good for us. By passing that bill, National Assembly has kept faith with the people of Nigeria. It has provided the cover of protection under which Nigerian children can live normal lives of fulfillment without fear. By your robust advocacy against the bill preventing sexual abuses of children, you foreclose the future of children in this society. But if I read you correctly, I have no doubt that you will reverse yourself on this once you have the correct information. This is why I have written you this letter. You have made your first “imposition” on Mr. President based on your understanding of the false information circulated by the very offenders you despise. I plead with you as a man who has been found to be a great man of honour and bestowed with the highest literary honour in the world to reconsider your position. Let me on behalf of the innumerable victims of abuse in Nigeria; let me invoke the spirit of Cynthia who fell victim in Lagos; and let me plead on behalf of the many wives and husbands deliberately infected with HIV by their partners whose suffering impelled this bill, that you reverse your instruction to Mr. President. The President of the Federal Republic looks to old sages like you for positive direction. That was what you intended to give him. But now that you know the truth, for the sake of your long-established reputation and known love for Nigeria, turn it around and urge Mr. President to sign this bill that will protect our people, restore sanity to society and make Nigeria a better place for all. 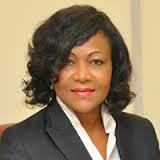 I remain your loyal admirer and sister, Sen Chris Anyanwu. [Chris Anyanwu was a Senator of the Federal Republic of Nigeria between 2007 and 2015]. ← Postcards From Africa #10. Chude Jideonwo: Why today – and President Buhari – made me cry.